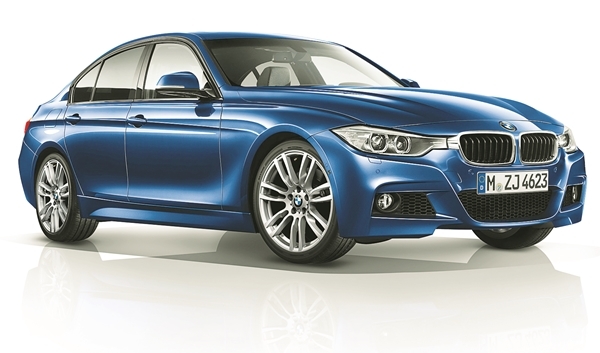 BMW has its goals set, and tapping emerging markets is number one on the companya��s agenda. a�?They (emerging markets) are never short of new customers who are eager to experience the best,a�? says Philipp von Sahr, president of BMW India. Thata��s why the German automobile manufacturera��s 40th outlet in India (and first in Coimbatore) also doubles as a service centre, capable of handling 1,000 cars a month. Spread across 50,161 sq ft the showroom follows an a�?urban street displaya�� concept. Showcasing around nine variants, it has a special section for the high-end beasts of the brand (think 6 Series and 7 Series) besides the Z4. While luxury models like the 5 Series are seen sharing space with the X3 and X5 at the showroom, one wonders a�� especially given that Audi and Mercedes are heating up the competition with large sales figures a�� whether the recently-unveiled 1 Series will make an appearance soon. But remaining mum about reports of the entry-level hatchback coming to India later this year, Sahr instead, seems particularly excited to talk about their electric hybrid car, the i8. a�?It is already sold out, and we are bringing in more,a�? he smiles. And with our government having launched the FAME India scheme last month, customers can expect the incentive of lower costs on hybrid vehicles. With the phrase a�?Make In Indiaa�� now a household term, localisation is something Sahr intends to do. a�?We now do our own domestic production of engines and other parts like gear boxes, wiring harnessa�� and cooling modules at our plant in Chennai,a�? he says, adding that cars like the Gran Turismo (3 Series), X1 and X5 are built from scratch at the plant. As for technologies we can expect this year, Sahr says, a�?Watch out for adaptive headlights (that beam light around bends and curves), night vision and head-up displays.a�? The latter, on windshields, can be seen in models like the Mini Cooper. Emerging concepts like BMW ConnectedDrive, which connects multiple cars via embedded SIM cards, and introduces the driver to a host of services and information, are also gaining popularity, he concludes.